The night before the official start of the festival on July 24, there will be a stacked bill at The Newport Blues Café on 286 Thames Street featuring everyone’s favorite new Nashville musician by way of Providence, Joe Fletcher and his band of Wrong Reasons, fellow Nashville resident J.P. Harris and his Tough Choices, Philadelphia folk phenom Langhorne Slim, fellow Philadelphians Toy Soldiers, Dead Confederate’s T. Hardy Morris, Dallas’ Andrew Combs, The Deslondes from New Orleans, Providence’s orchestral pop act Arc Iris and New England singer-songwriter Ian Fitzgerald. If you’re in the area this is surely a pre-festival party you don’t want to miss. One part of The Newport Folk Festival that makes it so special are the shows buzzing around town after each day. On Friday, June 25 at Jimmy’s Saloon on 37 Memorial Boulevard Roz & The Rice Cakes, Torn Shorts, Pier Jump and Silverteeth will be bringing the fun while the following night at the Saloon Boston rock ‘n’ roll act Oldjack will be throwing their 2nd annual Newport Nights with fellow Bostonians Tigerman WOAH, The Rationales & Nate Leavitt with Providence blues-rockers The Silks joining in on the fray. At The Tavern On Broadway right in the heart of downtown Newport on Saturday, The Mighty Good Boys will be making you dance like you have ants in your pants for a night of jug band bluegrass you can’t miss. If that isn’t enough, Deer Tick will be playing all three nights at The Blues Café as part of their annual Folk Fest after parties. Each night is filled with amazing acts sharing the stage with Deer Tick and be prepared to expect the unexpected. You can talk about great up-and-coming acts, and then you have to talk about Seattle blues act Reignwolf. Lead by wildman Jordan Cook on guitar and vocals, Reignwolf promises to leave quite the impression by leaving it all on the stage. These guys are just coming off from doing a tour with Black Sabbath and Eddie Vedder and Chris Cornell are singing their praises. They don’t have an album out yet, but you can check out a few tracks from Reignwolf on their website at reignwolf.com. A rip roaring rock ‘n’ roll band out of Baltimore, J. Roddy Walston & The Business are definitely going to be the prime attraction to light up your Saturday afternoon by the sea. This quartet came out with one of the best albums of 2013 with Essential Tremors and I highly suggest picking up a copy at the merch table after you see them play. It can be weird at times to see a band perform as a trio without having any drums, but The Devil Makes Three are so good they don’t need any. This folk act from Santa Cruz, Calif., has some local roots from performing with Joe Fletcher on numerous occasions and staging a benefit show for the late David Lamb of Brown Bird at Fete in Providence last year. I had the pleasure of seeing The Devil Makes Three play The Folk Fest back in 2011 and I’ve been a fan ever since. The Newport Folk Fest always has its fair share of legends that perform and on Friday you’ll be able to experience one up close and personal with reggae icon Jimmy Cliff. Jimmy is the only living musician who holds the Jamaican Order Of Merit along with being famous for hits like “The Harder They Come” and “Many Rivers To Cross” as well as his covers of Cat Stevens’ “Wild World” and Johnny Nash’s “I Can See Clearly Now.” If you like to groove and you like to move, then Jimmy should be exactly what you’re looking for. Straight from Duluth, Minn., bluegrass act Trampled By Turtles have a great cult following in the folk community and seeing them play the Quad Stage on Sunday will be a fantastic way to highlight your Folk Fest finale. A week ago they put out their seventh studio album, Wild Animals, so they’ll likely perform a few live renditions off of it. Ideal for the folk enthusiast, Trampled By Turtles very well could be one of the top live bands to see throughout the entire festival. No stranger to playing Newport Folk, Bright Eyes’ Conor Oberst is sure to amaze with his heartfelt songs and intense demeanor on stage. The kid from Omaha, Neb., is a trailblazer in his own right and it seems that the more he plays the more his illustrious reputation grows. Like many of the acts performing this year, Conor has a new solo album out with Upside Down Mountain. His versatility is astounding; expect Conor to bust out a few new songs to mix in with a bunch of classics. Right after Conor Oberst plays on Sunday, stick around for something special when Wilco’s Jeff Tweedy heads up to the Fort Stage. He’s currently working on a project with his son Spencer called Tweedy and they should be putting out their debut album Sukierae this September. Who knows? Maybe Spencer will join his dad on stage. Regardless, seeing Jeff Tweedy perform is something that no music fan should miss. This one is kind of an obvious choice to be #1, but can you blame me? The rock ‘n’ roll enigma from Detroit who is now based in Nashville has his second solo album out, Lazzaretto, which is pretty damn good. He’ll be the headliner for the festivities on Saturday. Jack White is a treat to see perform and he lives up to the billing as one of the best guitarists on the planet. Besides these 10 things that you can’t miss at this year’s Newport Folk Festival, there will be so much talent floating around Fort Adams and plenty of activities to partake in. 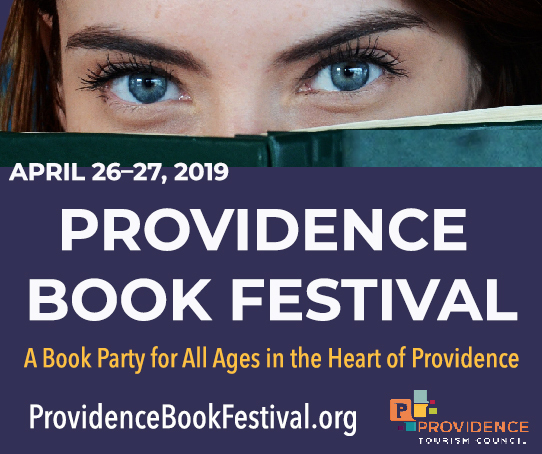 The best part might be Boston’s Dan Blakeslee strumming his black kraken adorned acoustic guitar as the festival goers embark on their nightly escapades. 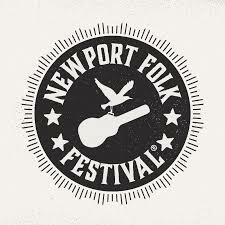 For all the info on what else is happening at The 2014 Newport Folk Festival, check out newportfolk.org. this article calls Jack White "one of the best guitarists on the planet". I did not know that about him.